The full form of VPS is Virtual Private Server. It is considered to be one of the popular account choices that companies and individuals use for hosting their websites as this specific type of account type allows more freedom as compared to a shared account. Shared accounts are known as a base level account containing unlimited resources at a very low cost. The drawback of such accounts is that it does not provide many configurations. Therefore, if you run any custom application or program on your site, it will not work usually. VPS accounts are known to share similarities with private server account when it comes to providing as many privileges and rights possible. The only difference being that a VPS draws virtual resources. What Is Meant By Windows VPS Hosting? When you purchase a Windows VPS from a reputed provider, you will mostly find it be quite enigmatic. In theory, it is quite popular because Microsoft has spent several billion dollars in enhancing the lineup what include the Windows hosting services. In spite of that, Windows hosting seems to lag when it compared to Linux options. Therefore, Windows VPS servers are great when it comes to making things simple for users with respect to services and administration. Many updates services and patches are also automated in order to help save your time in administration. 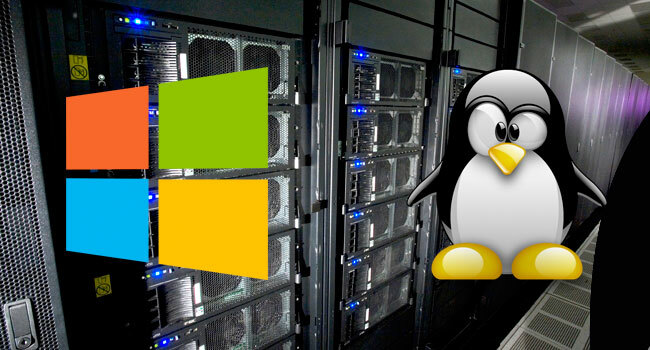 Another advantage of Windows hosting as compared to Linux VPS hosting accounts would be that the servers are known for having driver libraries that can easily match all kinds of hardware available in the market. Certain applications like call centers requiring virtual soundcard will not function with Linux and only with Windows. What Is Meant by Linux VPS Hosting? Most people who opt for Linux VPS hosting are benefitted when they are planning a website that will be acting similar to an application server for clients and employees. Several thousands of servers are written that will have the ability to have an advantage over Linux extensions that sit right on top of the OS. Linux is also known for offering programming shells access that helps the user in creating programs and scripts with the power of extending functional or security features. Many people will be able to point out the differences between the Windows and Linux. Many believe that Windows is inferior with respect to security. But in reality, both the operating systems are known to be equal when it comes to security protection. If a difference exists, it usually is that Linux lets its users a certain level of flexibility where he/she is able to adjust the OS for higher security. On the other hand, many hackers already are targeting Windows as it has so many users. If Microsoft intended to monopolize the Internet Server market, they would require code-base from Windows as tight integration can be quite inviting to those individuals who are looking for an opportunity to breach data. When it is about security, Linux has an advantage as it is quite compatible with a range of industrial control panels. In the mobile market, Windows has an advantage. As Windows phones aren’t that popular, mobile users are known to be much more secure than the rest. Linux is definitely a great mobile operating system, but they are available only to OEMs. If you are unsure about which of the two should you go with, it is very helpful if you consider the platform you are going deploy. A development of SQL-based or Windows. Asp type will be much better off with a Windows VPS Server. If the operating system – neutral is your development platform, then you would like to play a closer attention to the statistics with respect to the performance tests that researchers run in laboratories in internet publishing. You will most likely be able to locate the servers and database component that you plan on using on the test list. The platform that performs better on the tests will provide you a better insight in making the right selection. Choosing the right one is quite an internet business decision. It may be easier to work with Windows, but you will come across limitations. Next UC Browser Mini APK Download for Android Latest Version!